It looks like a census, but there are important differences. Despite the small amount of detail provided about individuals, this can be a remarkably useful resource for family history. Possibly the most complex technical digitisation project ever undertaken in UK records, new discoveries are still being made about the Register, its content and its history. This session discusses some of the challenges and frustrations involved in researching in it, and how it can be used to best effect in conjunction with other records. Audrey joined The National Archives (UK) in 2002 and has been Family History Specialist there since 2009. Before that she was a freelance researcher, writer and speaker for around 15 years, but her interest in genealogy dates back much further, and her love of history began earlier still – in September 1961, to be precise. Despite a very English-sounding name, and being born on St George’s Day, she has discovered no English ancestry whatsoever, just plenty of Scottish and Irish. But north of the border she is just a very keen amateur, her expertise in records is in England, where she has lived since the age of seven. 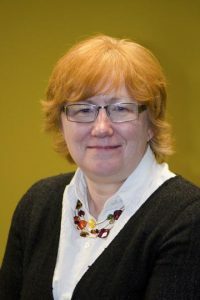 She has written for several family history magazines, and her current post involves creating content for The National Archives website, mainly writing or updating research guides, but also contributing blog posts and delivering webinars. She co-wrote Birth, Marriage and Death Records with Dave Annal, reflecting her main research interest, the history and development of the General Register Office. She is also a regular speaker at major genealogy events in the UK and worldwide. The work-life balance may need attention, since she once visited three First World War exhibitions on successive days while on holiday. Since 2014 she has been researching the First World War role of the men (and some women) of Chesham, Buckinghamshire, where she now lives. Once in a while she even finds time to write on her own blog ‘The Family Recorder’.